Screen shot from this morning. Simplicity. Oh, beautiful simplicity. It makes my life easier. When I first got my iPod, I went a little crazy in the apps department. Soon, I was up to four or five pages of (free) apps, and swiping between all those pages was confusing. I quickly figured out that I could organize the apps (photo apps on one page, games on another). But I was still swiping. 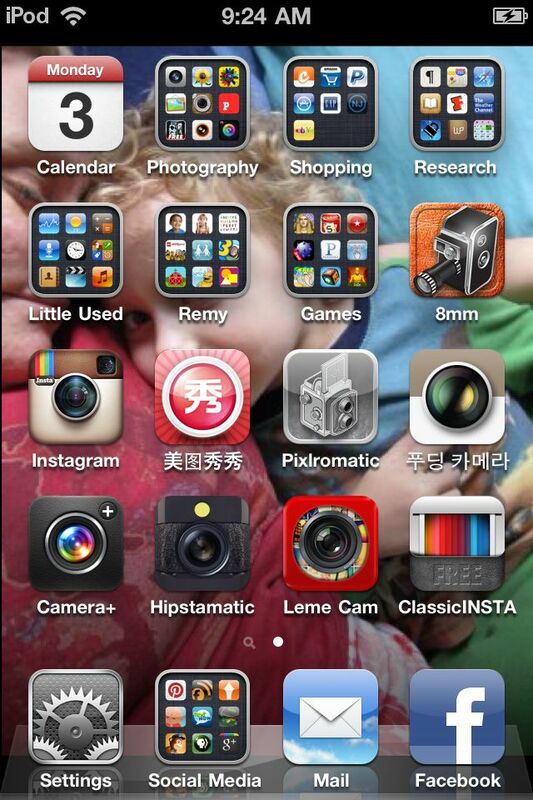 And, quite frankly, most of my apps were superfluous. That brought me down to less apps and fewer pages, but then I discovered folders and my iPod simplified even more*. Factory settings: too minimalist for me! And then, during the last update, my iPod froze and I had to restore it to factory settings. And after the restore, I was really super conscious about which apps I put back on my iPod and I managed to get down to one page. Since I did do a back-up, I tried to do a "restore from back-up." It didn't work, so I'll have to start from scratch and just re-install apps myself. That is slightly more irritating/ time consuming, but will probably pave the way to an even more minimalist iPod touch. Which is something I do not mind one single bit. * I know a lot of minimalist writers tend to advocate having simple wallpaper, but mine is a photo of Remy and I that's a really special moment to me and I love how his eye peeps out from under the apps. 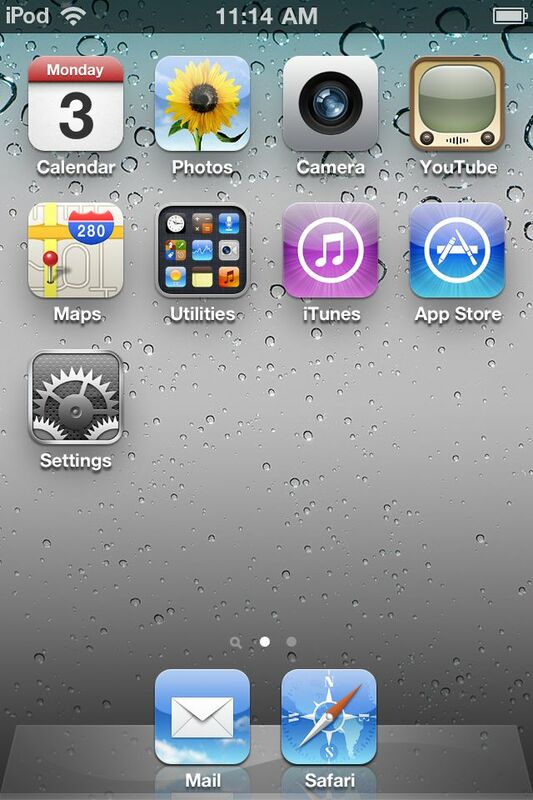 Also, I have no interest in jailbreaking my iPod, but if you do, there are ways to get even more minimalist.